Korea's car exports fell from third to fourth place in the world this year after the country was overtaken by Mexico. 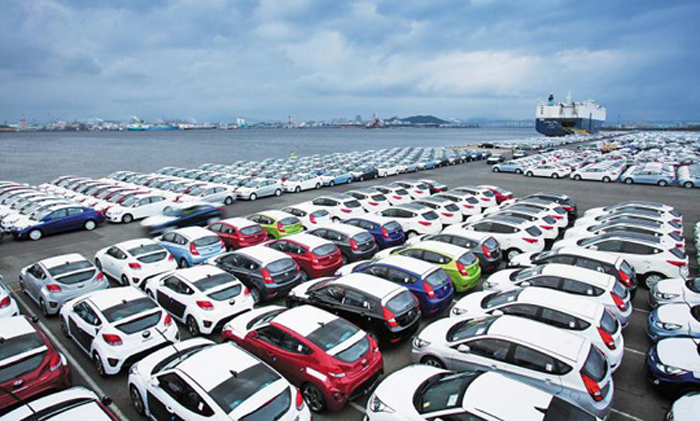 The Korea Automobile Manufacturers Association on Sunday said Korea's car exports in the first eight months of this year totaled 1.69 million vehicles, down 14.4 percent compared to the same period last year. Mexico exported 1.82 million cars over the same period, down 2.7 percent but still ahead of Korea. Germany came first, followed by Japan. Last year Korea ranked third after Germany and Japan. The reason for the trend is that more global carmakers set up plants in Mexico, which offers cheap labor on the doorstep of the U.S. market. Korea ranked fifth in terms car exports until the early 2000s, but rose to third place in 2005, beating the U.S. But exports have been falling since the peak at 3.18 million in 2012.